This summer I have moved to small resort town in Alberta. 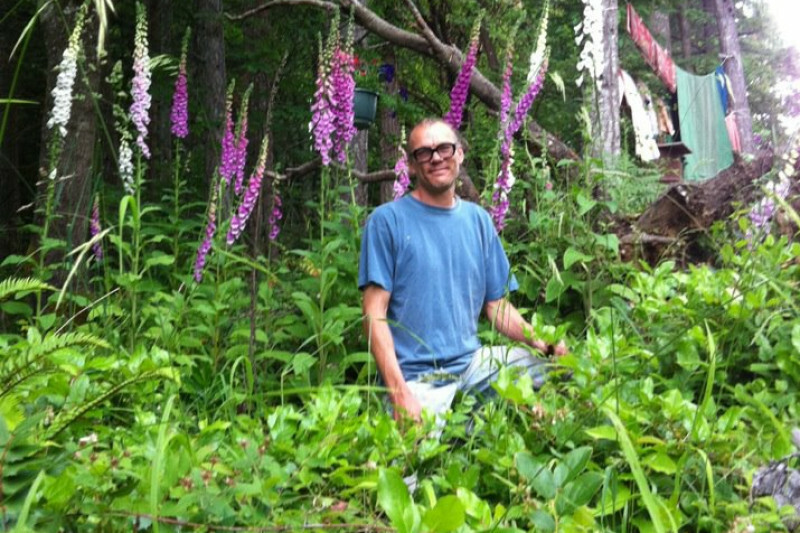 While it has been a big change to meet new friends and be in a new place (and not have the internet), I am once again struck by the near universal need/symbiotic relationship between happiness, community building and healing. When one can talk personally and honestly with family members or friends about their cannabis experiences, it normalizes the idea to people who may have incorrect or incomplete information about this sacred plant. Offering help and education to those around you is some of the most effective activism. Big changes really do start with the smallest seeds. Change. Is it good? Is it bad? Is it scary? It’s all of these things! The more we embrace change and allow it to flow through our lives, the faster we can adapt to new realities. Change is happening very fast to many of us these days. As we look around at the emerging cannabis market and all the new information that is popping up every day, it is easy to feel overwhelmed. Patients wonder whether they will be able to maintain their grows under the incoming legislation, and if they will lose their ability to drive based on the sweeping changes to impaired driving laws. Seniors wonder if maybe legal cannabis will help ease their aches, and how to properly dose. Long-term growers wonder how they can ensure their rightful place in the new legal market and politicians wonder on whom they can pawn off the arduous task of crafting this legislation. Now more than ever we must stand together to create positive, lasting change. One of the ways that you can easily get involved is to fill out the various surveys and questionnaires that are currently being released by the provincial governments. They are seeking stakeholder input on the drafting of the new laws. Book an afternoon to answer the online questions and take your time to seriously consider that you are the people who will make this change. Future generations are relying on us to help create thoughtful, useful and rational policy that can stand the test of time. It is much harder to chip away at bad policy with court case and constitutional challenges than it is to write good legislation to begin with. Get involved, and encourage your social circle to get involved as well. We too will have a new story to tell. After 21 successful years, Hempology is entering into a new chapter of its life. We have experienced many changes this year beginning with the loss of Ted Smith’s leadership. After Ted stepped away in February many dedicated board members stepped up to fill his shoes and help Hempology continue its legacy of educating the public about Cannabis. Although everyone’s heart was in the right place the task has proven too onerous. The Board of Directors has decided to dissolve the formal society and release the Cannabis Digest to become its own entity. Hopefully students will continue to gather at the various university and college campuses across Canada, but the organization will now be solely for and by the students. While we are sad to be disbanding the formal aspect of the society after such an incredible past few decades, we are excited by the possibilities for the future. In the upcoming months we will be completing the process of becoming an incorporated business so that we can continue to spread the news and stories affecting Cannabis consumers in Canada. We will be looking to form new partnerships within the craft cannabis culture. As we move forward into our new beginnings we are excited to keep you, our readers, writers, distributors and friends, informed about all the changes both with us and with the status of cannabis in general. We expect that by the next issue we will have begun the transition process. We hope to grow our subscribership both across the country and also around the world. 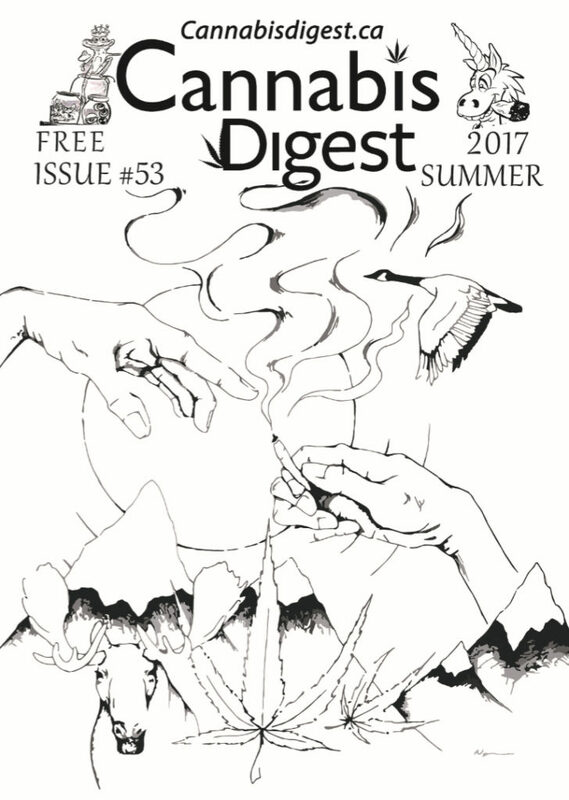 We encourage glass shops, hemp stores and coffee houses to subscribe to distribute Cannabis Digest. We would like it to be in the hands of more people who know less about Cannabis, so please leave a copy with your mom, doctor, local small business or friends. We will be reformatting the paper to make it friendlier and more organized, to increase its readability and outreach. We plan to rebuild our webpage and make it highly functional and easier to navigate. By adding more high quality video content we will draw in another audience, those who prefer watching information to reading it. We hope to increase cross-pollination between those who read our newspaper and those who read the blog posts. If you haven’t done so yet, check out cannabisdigest.ca for even more quality cannabis info.